At Autoleasing UK LTD trading as Priory Rentals, we are committed to protecting and respecting your privacy. We will only send you marketing communications by email or other electronic means if you give us your agreement to do so. We may change this Policy from time to time, so please check this page occasionally to ensure you’re happy with any changes. If we make changes to this Policy that will have a substantial impact on you, we will give you advance notice so that you have the opportunity to exercise any rights you have under UK law. By using our website, you’re agreeing to be bound by this Policy. Any questions regarding this Policy and our privacy practices can be emailed to info@prioryrentals.co.uk. Auto Leasing UK Limited (referred to as Priory Rentals Motorhomes) is a North West Based family run business and also the UK’s leading supplier of motorhomes. Auto Leasing UK Ltd, is a registered company established in England and Wales (company number 06368257), whose registered office is at 17-19 Manchester Road, Northwich, Cheshire, CW9 5LY. Priory Rentals is a joint Data Controller for the personal information it receives in relation to ownership of Priory motorhomes and associated warranty. 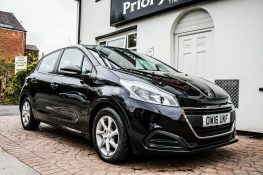 Auto Leasing UK Ltd is a Data Processor of the personal information it receives on Priory Rentals motorhomes and Priory Rentals websites and social media. Complaints will be responded to within the next 60 days at the latest. If you are not satisfied with how your complaint was handled, you may refer your complaint to the Information Commissioner’s Office (ICO). In order to ensure you receive relevant and personalised communication, the data we collect might include your name, address, telephone number, email address, IP address, products you are interested in, your interests, and information regarding what web pages are accessed and when. HOW AUTOLEASING UK LTD USES YOUR INFORMATION? where you have consented to the use you will have been presented with a consent form in relation to any such use and may withdraw your consent at any time sending an email to (info@prioryrentals.co.uk), clicking the unsubscribe link which we include on all our marketing emails, or by writing to us at 17-19 Manchester Road, Northwich, Cheshire, CW9 5LY. We will only send you marketing communications by email or other electronic means if you give us your agreement to do so. If you give us your agreement and subsequently wish to opt out you can do so by clicking the unsubscribe link which we include on all our marketing emails, email us info@prioryrentals.co.uk, or you can contact us at any time at the address above. 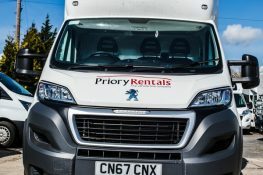 We may use your information to contact you with news on Priory Rentals vehicles and other products and services which may have interest for you and occasionally for market research purposes. We and these other parties may contact you by post and phone and, if you give us your prior agreement to do so, by email, SMS and other electronic means. We will not share your information with third parties for their marketing purposes. You have a choice about whether or not you wish to receive marketing information from us. If you do not want to receive direct marketing communications from us about our products and services, you can opt out by clicking the unsubscribe link which we include on all our marketing emails, email us at info@prioryrentals.co.uk, or you can contact us at any time at the address above. We will not contact you for marketing purposes by email, phone or text message unless you have given your prior consent. We will not contact you for marketing purposes by post if you have indicated that you do not wish to be contacted. You can change your marketing preferences at any time by contacting us at the address above. You have the right to ask for a copy of the information Auto Leasing Ltd UK holds about you and the accuracy of your information is important to us. We’re working on ways to make it easier for you to review and correct the information we hold about you. In the meantime, if you change email address, or any of the other information we hold is inaccurate or out of date, please email us at: info@prioryrentals.co.uk, or write us at 17-19 Manchester Road, Northwich, Cheshire, CW9 5LY. We may analyse your personal information to create a profile of your interests and preferences so we can contact you with information relevant to you. The data we collect might include your name, address, telephone number, email address, IP address, products you are interested in, your interests, and information regarding what web pages are accessed and when. We may make use of additional information about you when it is available from external sources to help us do this effectively. We will not share your information with any other third party for their marketing purposes. As part of the services offered to you through this website, the information which you provide to us may be transferred to countries outside the European Union (“EU”). By way of example, this may happen if any of our servers are from time to time located in a country outside of the EU. If we transfer your information outside of the EU in this way, we will take steps to ensure that appropriate security measures are taken with the aim of ensuring your privacy rights continue to be protected as outlined in this Policy.